Did I really just travel to the OC for 72 hours? Did I really just run 20 miles in a weekend along some of the most beautiful shores of the West Coast? Yep, that is what’s been going through my mind. Yes, I’m so happy to be home. In fact, with all the work travel I’ve been doing, I was thinking of canceling. It’s not a secret that I’ve been riddled with guilt lately and it’s been a huge struggle for me. 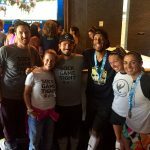 At the same time, I had made the commitment to the Gary, Jeff and the rest of the OC Marathon crew and I knew this could be a once in a lifetime chance. So I boarded the plane and took off. From the time I got to the official race hotel, the Avenue of the Arts Wyndham, I knew I had made the right decision. The staff was amazingly accommodating. I didn’t rent a car but I didn’t need to. They toted me around but my first stop was the expo. I love a good expo. It kind of feels like a runner’s Christmas, so many awesome brands in one place and this one didn’t disappoint. 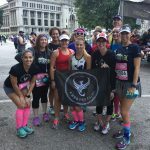 After picking up my race packet and media credentials, I browsed and ended up running into a few Instagram friends, shopping some of my favorite brands and just taking in the expo. After a light dinner and a quick trip to Target, I was in bed. I make the most of my time away from the kids. I want to see and experience as much as I can. This trip was no different and thanks to my local IG friends (Marlon) it was a ton of fun. 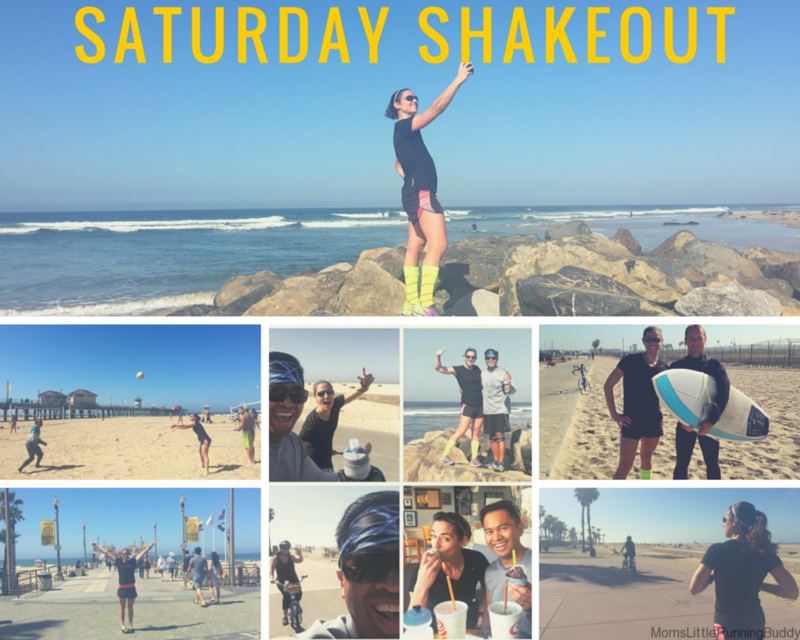 He invited me out for a shakeout run with he and his wife along Huntington Beach. Well, 3 miles turned into 6 but it was well worth it. That place is amazing. The best thing about IG friends is they understand my need to take pictures and potentially over-share so I love that he captured me in the act. After a shower, I spent a little time at the pool then did some shopping at the fancy mall across the street. I might have tried on somethings that I probably couldn’t afford but it was fun none the less. Then my super awesome friend and her two adorable munchkins came into town and we had some dinner and relaxed before the big race day. Who’s the friend? None other than Kristin, Ms. Stuft Mama herself. If you don’t follow her you should! 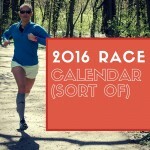 She’s a fellow mother runner that is both inspiring and real. Seriously…check her out! Ok, that’s it…part one. I can’t wait to tell you about the race itself. I don’t want to give anything away but it was AWESOME!! Where was your last racecation? 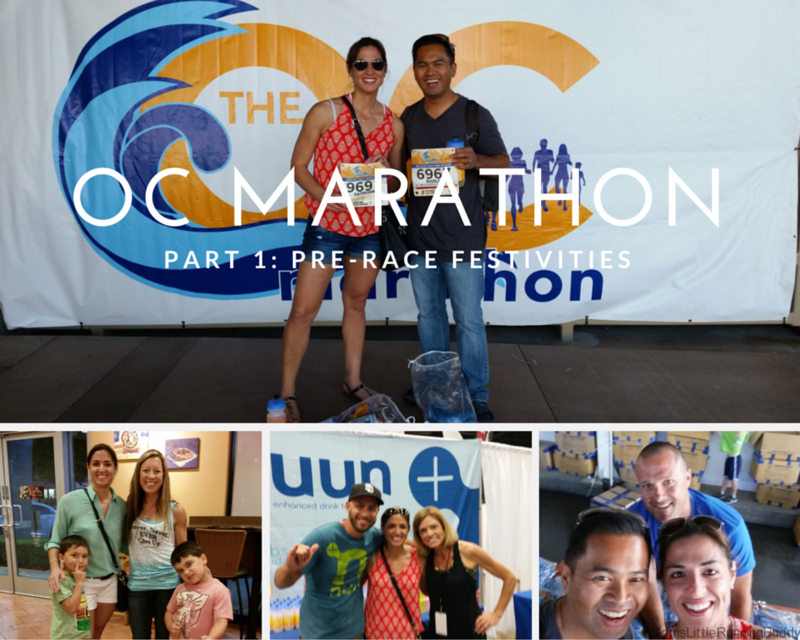 Have you ever run the OC Marathon? DON’T FORGET – HUGE #StrollerRun15 giveaways going on right now with daily entry options to get you closer to one of these awesome prizes! Enter now! It was so great hanging out with you Friday and Saturday! Maria and I had a wonderful time getting to know you! 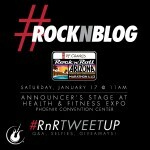 I seriously need to get to Cali for a getaway – aka race! Loved your IG pics all weekend long. Looking at your pictures makes me wonder why I live in the Midwest. It looks so beautiful out there! Sounds to me like you couldn’t have picked a nicer location! I love SoCal. 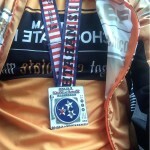 The only race I’ve run there so far has been a half marathon in Palm Springs (twice) but I loved every bit of it. I’m glad you went! Ha! I love that he caught you in the act of a selfie!! Hilarious. An OC racecation sounds amazing!